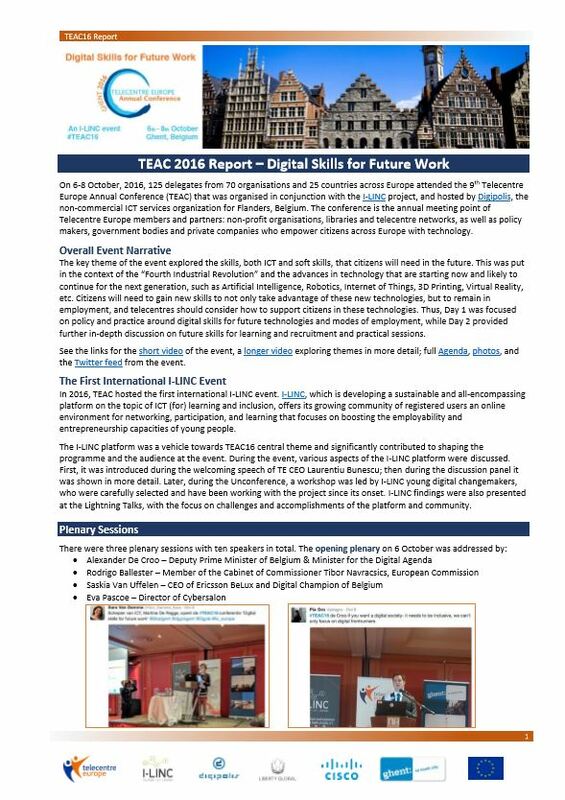 This summarised report presents the highlights of Telecentre Europe Annual Conference, a three-day event which took place in Ghent on 6-8th Oct 2016. The report wraps up the main sessions of the two-day conference sessions and an overview of a bonus side event – Ghent Interactive Digital Fair. The conference included an I-LINC panel on youth pathways to employment, interactive sessions and inspiring keynotes. The Telecentre Europe Awards finalists and the Awards ceremony, which took place on the 7th of October, are also reflected in the report. The 3-day event was attended by more than 120 participants. Apart from many NGOs and TE members, the conference welcomed ICT sector representatives from Belgium and Netherlands, policy makers from Belgium and EU, a group of youth organisations, civil society organisations and municipal authorities, as well as I-LINC young ambassadors. 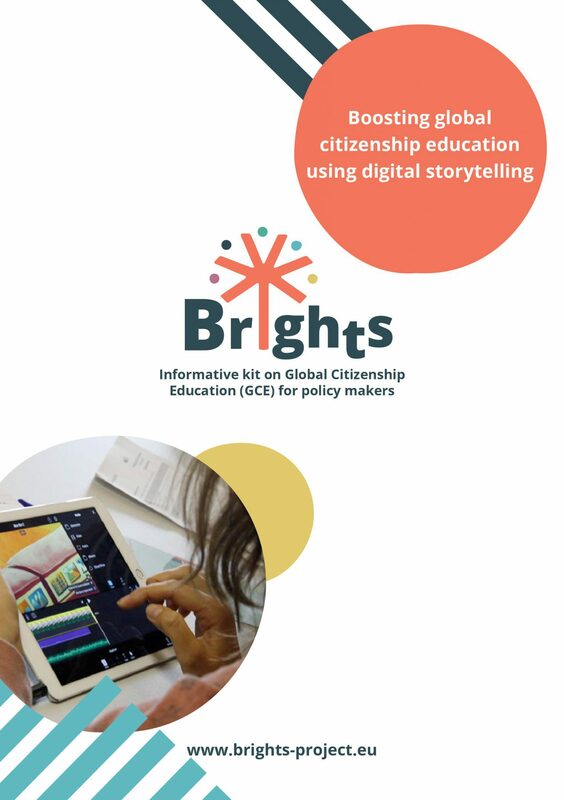 A PDF version of the report can be downloaded HERE.